The IoT Connectivity is extremely fragmented. There are now a multitude of competing standards organizations that lay claim to being the IoT universal interconnect standard. This puts developers of applications and devices for the Internet of Things in an impossible position that will ironically result in a sub-optimal outcome for the ecosystem. Any potential IoT standard rises and falls with developer adoption. Often, cost and time constraints require developers and manufacturers to focus on a single supported platform. With so many to choose from, they are required to bet on which standard will become dominant, or alternatively, decide to control their own destiny with a proprietary solution (as many do). This leads to considerable development efforts, where each device or system requires a completely different language or connectivity data model, and the ability to easily and dynamically maintain and expand the ecosystem at hand with new devices is nearly impossible. WeavingThings Data Abstraction layer tackles these issues by providing a single abstract data model to all devices of the same service, allowing connectivity to be implemented in a vendor, API and protocol agnostic fashion. This approach also allows the seamless and dynamic integration of new devices into your existing ecosystem. 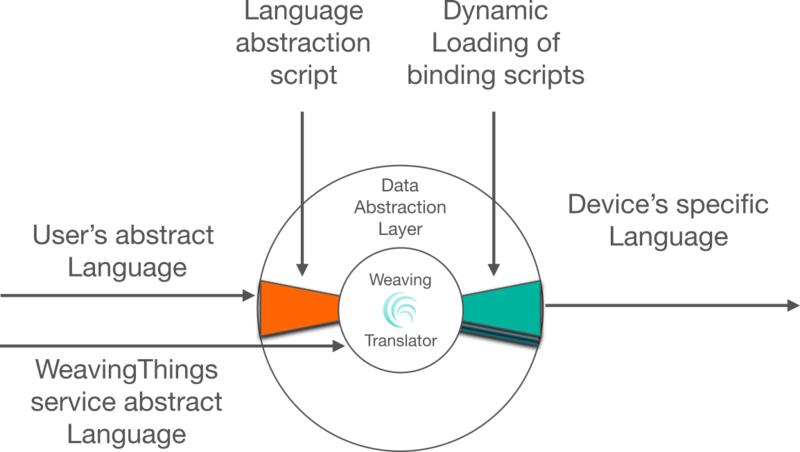 The Data abstraction layer uses language binding scripts to define the translation rules required for a specific device connectivities. 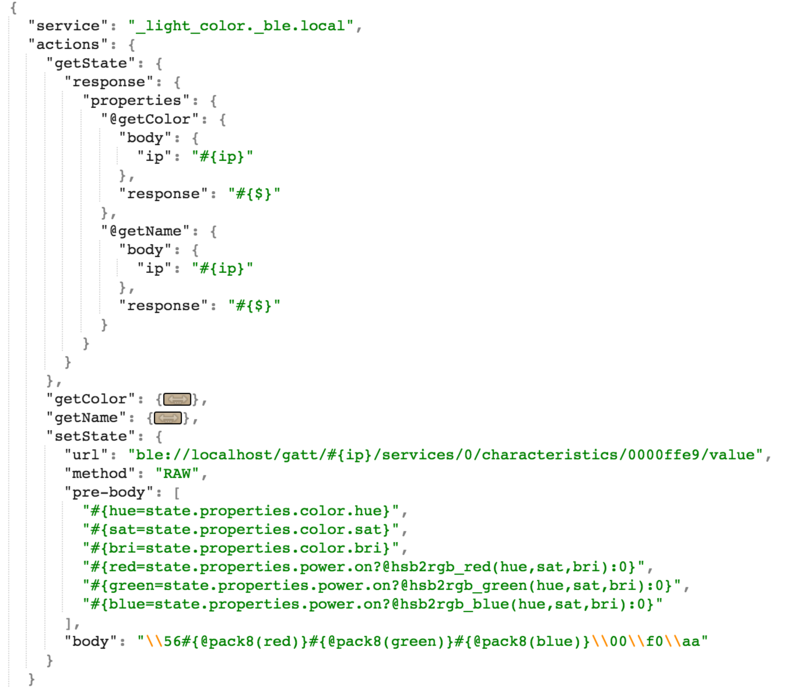 These scripts are text files written in a very clear and simple JSON model. These scripts are hosted in WeavingThings cloud service and are dynamically loaded and used upon device detection. Though these binding files are implemented and maintained by the WeavingThings team, advanced integrators are allowed proprietary implementation of their own binding files. WeavingThings abstract service language is used to monitor and communicate with the different devices. integrators might choose to use their own abstract language. In this case a language abstraction script can be configured to allow the complete translation.